H&S 11350 – Possession of a Controlled Substance can be either a felony or misdemeanor. The consequence of the offense will vary depending on a number of factors. Some of these factors are the amount of the controlled substance, the class of the substance, whether there have been previous offenses and the county you are in. H&S 11350 applies to all drugs. People in possession of a controlled substance can be punished up to a year in state prison or up to a year in the county jail. A judge may also impose a fine of $70.00, based on the defendant’s ability to pay. For people granted Probation, a judge may declare a fine of $1,000 or community service, and for a second offense a fine of $2,000 or community service. If the defendant cannot pay, the judge may order the defendant to do all community service instead of paying a fine. (California Health and Safety Code Sections 11054, 11055, and 11056 are included in a separate document, and they have the lists of controlled substances referred to above). H&S 11350 has a very far reach. As with all drug cases, H&S 11350 – Possession of a Controlled Substance are very fight-able. There are many things a police officer must do get to the drugs. If an officer skips a step, this may result in a violation of your constitutional rights. 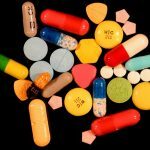 H&S 11350 – Possession of a Controlled Substance cases are not open and shut cases. They are open to attack on both a substantive and procedural ground. These are otherwise known as the 4th, 5th, and 6th amendments. Within the limits of the constitution, means that there hurdles a police officer must jump thru and properly for the purpose of an arrest on an H&S 11350 case. For example, an officer must clear the 4th amendment hurdle first. The 4th amendment is a prohibition from unreasonable search and seizure. How much intrusion to a person and whether or not that the intrusion is justified has been commented on by the courts. Failure of the officer to comply with these standards will result in evidence not being admissible. If this happens then the case will be dismissed. 1) An officer may suspect a person has drugs on him or herself because of the way he looks and the person may have drugs on him or her making the officer’s suspicion correct. However, law enforcement will need something more than a hunch to justify a police contact. They can’t just say a person looks nervous. 2) An officer suspects a person has drugs and pulls them over consistent with Possession of a Controlled Substance H&S 11350. However, upon pulling the person over, the officer immediately orders him or her to sit cross leg and put his or her hands behind his or her back then starts questioning the person without reading him or her; rights which results in incriminating statements. This will result a violation of the persons Miranda rights. However, officers are smart and will conduct their investigation in a way that complies with Miranda and try illicit statements prior to a functional arrest. It is up to the court process to uncover the truth. 3) During a Possession of a Controlled Substance H&S 11350 investigation, a police officer will interrogate a person that they strongly suspect was involved in a hit and run. The person has asserted his or her rights to counsel and told the police that he does not want to talk and wants his attorney there. Under these situations, the police must not question the person anymore. Failure to comply with this and more questionings which results in a confession or damning statements will only result in the fruits of it being suppressed and not being able to be used in court. On a substantive ground, many of today’s possession of controlled substance cases H&S 11350 have turned into possession for purpose of sales cases. Possession of sales is a popular charge by law enforcement because of prop 47. Law enforcement has not appreciated Prop 47 and as a result has started charging situations that would have been just possession as sales cases. This has resulted in bail and other complications for people who accused of sales. People who buy in bulk are in danger. They get caught up in this mess. For example, a person may want to buy more drugs such as a few balls or an ounce of meth for personal consumption. In addition to this as a diligent buy and investment on their dollar they have decided to bring a scale with them, you can see where this is going. It is important that these people are not mixed up into the shenanigans of the dealers. H&S 11350 cases can result in dismissals. This is especially the case for people who have gotten mixed up in the wrong crowd. After the recovery classes, the prosecution will dismiss the cases. However, recovery is a tough road and not everyone can pull this off. Recovery in H&S 11350 cases often involves multiple instances of relapses. This is common among people who use methamphetamine and heavily addictive drugs like heroin. However, even after falling out of programs it is still possible to use the laws to get additional chances and ultimately a dismissal. A person being charged with H&S 11350 should consult with his or her attorney about the options that are available. It’s important that you talk with an attorney about your options.